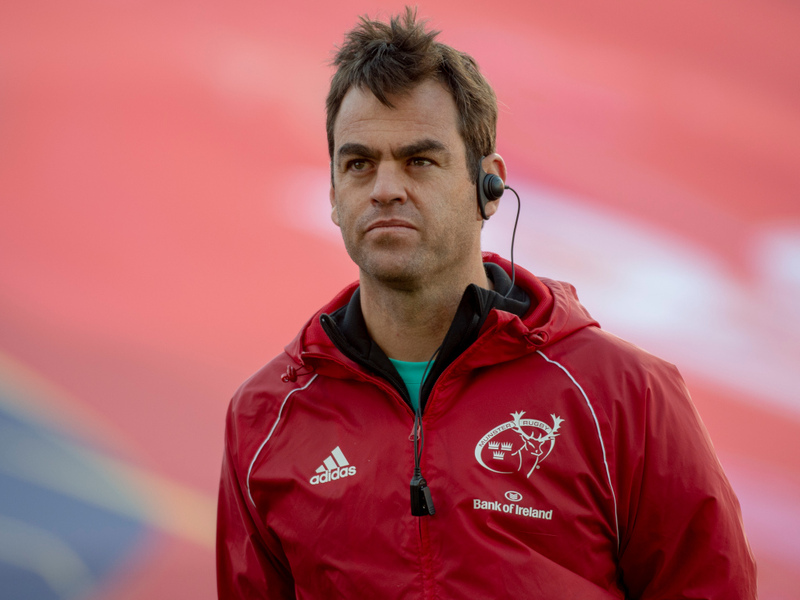 Munster head coach Johann van Graan hailed his side’s depth after they claimed a deserved come-from-behind win over Benetton in Treviso on Friday. Van Graan fielded fielded an under-strength team and they were trailing Benetton by 11 points early in the second half but launched a superb fightback to claim a 37-28 victory. And he was encouraged to see several fringe players putting in good performances ahead of next weekend’s Champions Cup semi-final against Saracens at the Ricoh Arena. “It’s great that so many of our squad are hitting form at the back end of the season,” Van Graan told the Irish Times. Benetton held the upper-hand during the opening half but after taking a 28-17 lead early in the second half, Munster then took control of proceedings and kept their hosts scoreless during the game’s closing 35 minutes. Rhys Marshall, Dan Goggin, Shane Daly and Alby Mathewson scored tries for the Irish province and JJ Hanrahan finished with a 17-point haul after succeeding with four conversions and three penalties. “I thought Rhys Marshall played really, really well and Gavin Coombes when he came in and special mention to Billy Holland for leading the team to this victory,” added Van Graan. “I thought Dan Goggin and Sammy Arnold did well and I thought Shane Daly did excellently again, his aerial game, his work-rate off the ball. Archie coming back on and Liam O’Connor from the bench.